We recently heard that Google were expected to launch their new messaging app, Google Allo and the app is now available to download, Allo was originally announced at the Google I/O Developer Conference earlier this year. 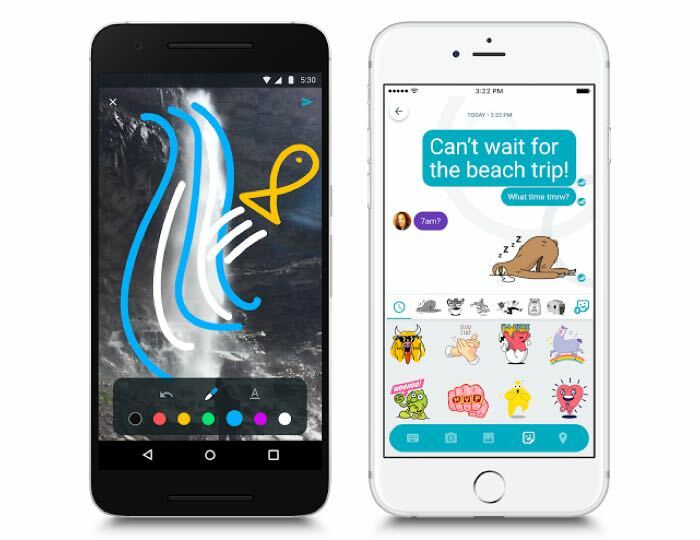 The new Google Allo messaging app is available for both iOS and Android and it is designed to make messaging easier, it comes with a Smart Reply feature that can answer your messages. Google Allo makes it easier for you to respond quickly and keep the conversation going, even when you’re on the go. With Smart Reply, you can respond to messages with just a tap, so you can send a quick “yup” in response to a friend asking “Are you on your way?” Smart Reply will also suggest responses for photos. If your friend sends you a photo of their pet, you might see Smart Reply suggestions like “aww cute!” And whether you’re a “haha” or “” kind of person, Smart Reply will improve over time and adjust to your style. You can find out more details about the new Google Allo app over at Google at the link below, the app is now available to download for Android and iOS.